Landlords and tenants in Maryland must become familiar with Maryland’s landlord-tenant laws. These laws spell out the specific rules and responsibilities both landlords and tenants must follow. Under Maryland law, tenants have a right to freedom from housing discrimination, a right to certain security deposit protections, the right to freedom from landlord retaliation, and the right to be protected after domestic violence. Learn four rights of tenants in Maryland. One right that every tenant is entitled to is freedom from discrimination in any housing activity. In Maryland, tenants have a double layer of protection. What Rights Does Fair Housing Protect? Refusing to rent to a tenant because they belong to a certain class. Trying to get a tenant to move because they belong to a certain class. Posting a rental ad which states certain classes of people need not apply. Having different lease terms because someone is a member of a certain class. Charging higher rents or higher security deposits because someone is a member of a certain class. Falsely stating that a unit has been rented to avoid renting to a tenant that belongs to a certain class. Refusing to make reasonable accommodations to a unit for a tenant with disabilities. Is Anyone Exempt From Following Fair Housing Law? Rent out rooms in a property that he or she currently occupies. Rent out units in a property that has five or fewer rental units that he or she currently occupies. Example of a Fair Housing Violation: A landlord has a vacancy at their rental property. The landlord places an online ad in an attempt to find a new tenant. In this ad, the landlord states that the building is located in a Christian community, so anyone who is not Christian should not apply. This is a discriminatory statement, and the landlord could be charged with violating the Fair Housing Act. Tenants in Maryland have a right to be protected when they put down a security deposit in order to rent the property. They are protected in the amount that they put down, the way a landlord must store the deposit, required landlord walk-through, and the time frame for having the deposit returned. Maximum Amount of Deposit: Maryland landlords are only legally allowed to collect up to two times the monthly rent as a security deposit. If the landlord collects more than that, it is illegal. A court could award the tenant as much as three times the amount that was collected in excess of two months’ rent. Storing the Deposit: Landlords in Maryland must store tenants’ security deposits in a separate account that is only for security deposits. If the security deposit is more than fifty dollars, then the account must earn interest. The interest rate must be at least three percent per year. 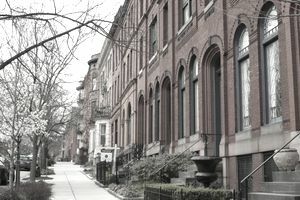 Required Landlord Walk-Through: Maryland’s landlord-tenant law requires landlords to conduct a walk-through inspection. This inspection must take place within five days of tenant move out. The purpose of this inspection is to document the condition of the rental unit. The landlord must notify the tenant of the date the inspection will take place and of the tenant’s right to be present during the inspection. Returning the Deposit: There are specific rules Maryland landlords must follow when returning a tenant’s security deposit. The tenant has the right to have their security deposit returned within 45 days of move out. The landlord must send this deposit by first class mail and must include whatever portion of the deposit that is owed back to the tenant. If the landlord has taken any deductions from the deposit, then the landlord must also include a written itemized list when returning this deposit. This list must include the exact deductions that have been taken and the dollar amount for each deduction. It is not uncommon for landlords and tenant to have conflict. For this very reason, Maryland has a law which protects tenants in case a landlord tries to retaliate against the tenant. The tenant or tenant’s agent provided written notice to the landlord or a government agency about a health or safety violation at the property. The tenant or tenant’s agent provided written notice to the landlord or a government agency about a violation of the lease. The tenant or tenant’s agent provided written notice to the landlord or a government agency about a violation of the law. The tenant or tenant’s agent has complained about a possible lead-based paint hazard at the property. The tenant or tenant’s agent filed a lawsuit against the landlord. The tenant testified in a lawsuit against the landlord. The tenant has organized a tenants’ union or participated in an existing tenants’ union. An action of the landlord causes damages for the tenant. Timeline for Act to Be Considered Retaliation: In order for a court to even consider a landlord’s action to be retaliation, the landlord’s action must have occurred within six months of a tenant committing an action, such as filing a complaint against the landlord. Landlord Has Retaliated: If a court comes to the conclusion that a landlord has performed a retaliatory action, then the court could award the tenant up to three months’ rent, plus reasonable court costs and attorney’s fees. Landlord Has Not Retaliated: If a court finds that a tenant’s claim of landlord retaliation has no merit, then the court could award the landlord up to three months’ rent, plus reasonable court costs and attorney’s fees. Tenants who have been victims of domestic violence or victims of sexual assault have certain rights under Maryland law. Termination of Lease: Tenants who have been victims of domestic violence or sexual assault have the right to terminate their lease agreement early without penalty. Written Notice: To terminate the lease, the tenant must provide the landlord with written notice, either by mail or by hand delivery, of their desire to terminate the lease. Copy of Protective Order: With the written notice, the tenant must provide proof of their claim of domestic violence or sexual assault. This form of proof must include a copy of an order of protection. Victims of sexual assault must also include a copy of a peace order which has been issued to them. 30 Days: The tenant will have 30 days after providing the written notice to terminate the lease to move out of the rental property. Classify the tenant as a holdover tenant and take the appropriate steps to evict the tenant. The landlord could be awarded damages by the court for the tenant holdover. Assume the tenant no longer wants to move and reinstate the original lease terms. Responsibility for Rent: The tenant is only responsible for paying rent for the 30 day period after they have given the written notice that they will terminate their lease. Right to Have Locks Changed: Maryland tenants who have been victims of domestic violence or sexual assault may have the right to have the locks on their unit changed. In order to do this, a couple of conditions must be met. The order of protection or peace order must state that the perpetrator does not have the right to enter the unit or must vacate the unit if he or she currently lives there. The tenant must provide the landlord with written notice of their desire to have the locks changed. The tenant must provide proof of this written notice. This should either be a copy of an order of protection or peace order. Time to Change Locks: The landlord must change the locks within one business day of receiving this written notice. The landlord must provide the tenant with the new key within 48 hours. If the landlord does not, the tenant has the right to change the locks. The tenant would have to provide the landlord with the new key within one business day of having the locks changed. Right to Charge a Fee: A landlord has the right to charge the tenant a reasonable fee for changing the locks. The tenant must pay this fee within 45 days of having the locks changed. If the tenant fails to pay this fee within 45 days, the landlord can charge this fee as additional rent or can deduct this amount from the tenant’s security deposit. If you would like to view the original text of Maryland’s landlord-tenant law, please consult Maryland Real Property Code Annotated, Title 8. What Is a Move Out Inspection for Landlords and Tenants?